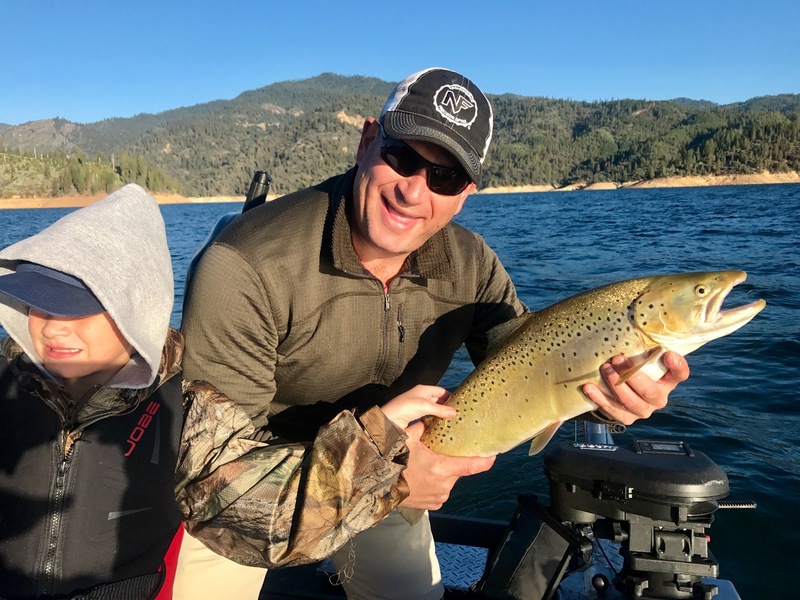 Trout bite slows on Shasta..
After an epic season on Shasta Lake, its fair to report that the trout bite is slowing and the fish are no longer schooled up under the bait balls in the main body. Todays clients did catch some trout, including a beautiful 21" inch rainbow, but getting through the bass without getting bit was a challenge. We towed around small bass all day and picking up gear every 5 mins was essential, otherwise the lines would be fouled with micro bass hitching a ride. As you can see on my HDS screen shot, the fish are everywhere in the water column. The 68 degree temps go all the way down to 90' before they start to cool into the high 50's. Its 58 degrees at 125' feet on Shasta right now. We fished near the dam and made a sweep all the way back into the Dry Creek arm only to see that there werent very many fish that have moved into the arm just yet. Its a big lake and I'm sure there's a pile of trout somewhere, we just couldn't find them today. The best trout bite we found was at 115' feet and our big fish came off the big north point at Digger Bay. 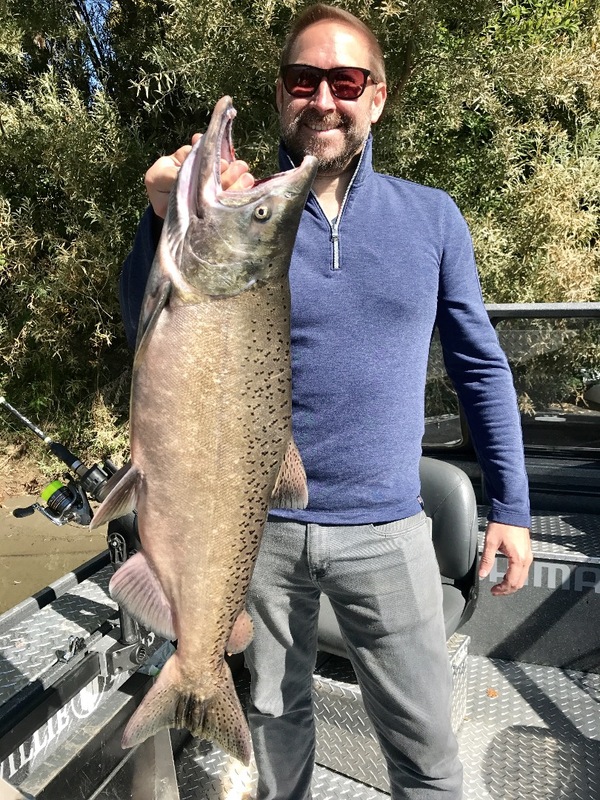 More Sac salmon arrive above Red Bluff!